Snoring has become a serious nuisance in bedrooms across America. 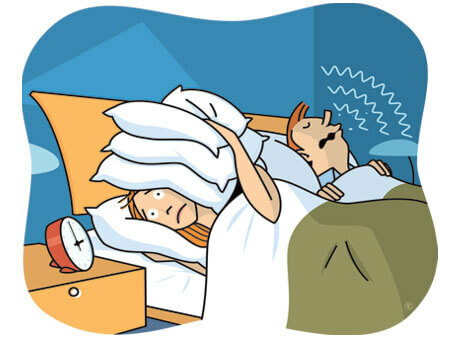 Now 1 in 4 adults snore on a regular basis and of those snorers, many suffer from sleep disorders like sleep apnea. Sleep apnea is a common sleep disorder where you pause your breathing for several seconds or breathe a series of shallow unproductive breaths. There are two types of sleep apnea: obstructive sleep apnea and central sleep apnea. Researches are now finding that snoring and sleep apnea may be linked to the early stages of dementia and long-term memory loss. Snoring is a side effect of sleep apnea, which is becoming a serious epidemic not only in the United States but worldwide. Over 20 million Americans alone suffer from sleep apnea, many of which don’t even know they have it. Sleep apnea occurs while you are asleep. This disorder stops you from breathing hundreds of times during the night without even knowing it. Obstructive Sleep Apnea (OSA) is the most common form of sleep apnea where your airway becomes obstructed or blocked. Typically, your breath stops for several seconds and is then followed by a loud gasp for air or snore, slightly awakening you and your partner. The most recommended treatment for sleep apnea is using a CPAP machine. This is a continuous positive airway pressure machine that uses a mask and hose connected to a small pump, which constantly pumps air into your nose through the face mask. The machine maintains positive air pressure, like its name, constantly throughout the night. study and analyze your sleeping patterns. The lack of oxygen to the brain is not good for your heart, liver, or your mind. It’s important that you have constant airflow to the brain at all times. Many Americans may be suffering from sleep apnea and not even be aware of it. This may be laying the brickwork for early stages of memory loss and dementia. When the oxygen airflow to the brain decreases due to sleep apnea, the blood flow to the brain also slows down at that same time. When you start breathing again, oxygen flows normally back to the brain, as does the blood. 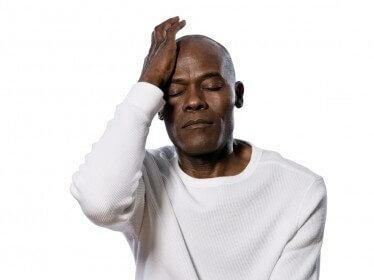 There has been a link to Alzheimer’s and sleep apnea because many Alzheimer patients have slow blood flow to the brain. This slow blood flow is seen during the time period of when your body stops breathing due to sleep apnea. It’s difficult to make this direct correlation, however, scientists continue to study how the two relate. Mild cognitive impairment (MCI) is when a person’s memory and basic thinking skills start to decline. It is usually noticeable to close friends or family but does not interfere with one’s daily routine. It does put one at risk for developing dementia or Alzheimer’s. There are two types of MCI: amnestic and nonamnestic. Amnestic simply means having a loss of memories. Those with amnestic MCI are unable to recall recent memories or events that should have been “easy” to remember. Examples include a hair appointment, a recent dinner they attended, or a phone call from a friend. Nonamnestic MCI describes a person who is actually faltering at making decisions. They have a difficult time processing the correct order of a sequence of events or do not understand why something is being done a certain way. Alzheimer’s is a specific type of dementia. Dementia is a common term for the loss of cognitive memories. Alzheimer’s, specifically, is a slow starting disease that can take years to worsen. 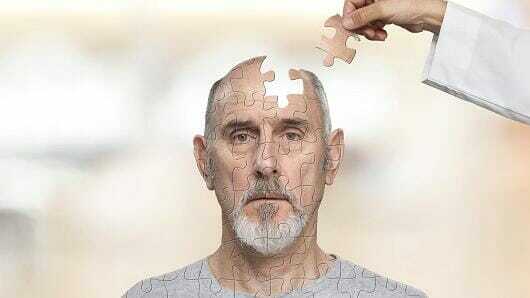 The most common symptom of Alzheimer’s is severe memory loss where one forgets how to conduct a normal daily routine. The conclusions of the study found that those with breathing issues throughout the night were actually diagnosed with one form of MCI about 7-10 years earlier than those who did not experience breathing problems while they slept. Another interesting conclusion that links snoring and sleep apnea to MCI or dementia is that the participants that were treating their breathing problems with a CPAP machine had a prolonged MCI diagnosis of nearly 10 years later than people who were not treating their breathing problem during sleep. A separate study done by students at UCLA showed that people suffering from sleep apnea showed a loss of brain tissues that are responsible for storing memories. The researchers from the David Geffen School of Medicine claimed that the interrupted breathing patterns and oxygen levels being delivered to the brain can result in substantial brain damage over time. The body needs oxygen to survive, clearly. However, the brain needs an uninterrupted flow in order to function properly. Future research will involve the studying of dementia and Alzheimer’s patients in depth in order to confirm a direct correlation between sleep apnea and memory loss. For now, the evidence is shockingly clear. Undiagnosed and untreated sleep apnea has also been linked to heart attacks, strokes, and high blood pressure. All of these are serious conditions and can be prevented if sleep apnea is treated. There are several ways to treat sleep apnea and snoring separately. Over the counter, products can be purchased to treat snoring, or you can treat snoring naturally by using essential oils or performing various yoga exercises. There are also several surgeries that can treat sleep apnea – it’s best to check out all of the options available and choose the one that’s right for you. Please consult your doctor if you think you or a loved one may have a sleep disorder such as obstructive sleep apnea. The earlier you are diagnosed and can start using a CPAP machine for treatment, the quicker you are to achieve a good night’s rest and start to feel like you have your energy back once again. Can Erectile Dysfunction Be Caused By Snoring? Can Snoring Lead to High Blood Pressure?